Marketing Remarks by California Investments Realty: This well maintained home built in 1971 is in Oxnard Pacific Mobilehome Park. 3 bedrooms, 2 baths, large open living room area with dining room, cozy kitchen with laundry area. Newer copper plumbing, newer forced air heater, large backyard patio for entertaining features pavers. 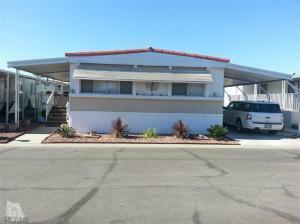 Located near freeway and Point Mugu Base. This is a must see. This home is in move in ready condition.